“My writing and drawing are kind of mixed up together,” says Alison Bechdel in this On the Fly interview recorded in 2010 when the graphic memoirist was in Iowa City to speak at the Bedell Nonfiction Now Conference. Bechdel is the creator of the long-running comic strip Dykes to Watch Out For. Her 2006 memoir, Fun Home: A Family Tragicomic, won an Eisner Award and was named one of the 10 best books of the year by Time Magazine. The book was also a finalist for a National Book Critics Circle Award. A musical adaptation of Fun House appeared Off-Broadway in 2014 and collected several awards. 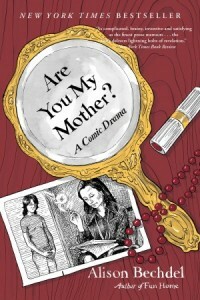 Bechdel’s second memoir, Are You My Mother? : A Comic Drama, appeared in 2012.